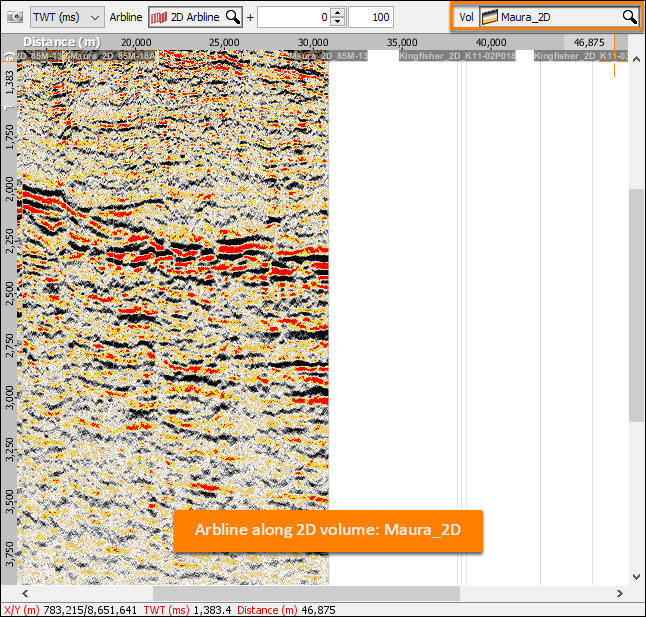 Working with 2D data can be more complicated that working with 3D volumes. Insight provides several tools to simplify viewing data across several volumes. Use line sets to work with selected lnes from multiple 2D surveys (see Creating a 2D Line Set). Create arblines that follow different segments of 2D lines (see Arblines). Use groups to display data from many 2D volumes (see Groups). Arblines can span many 2D line segments, through several surveys. 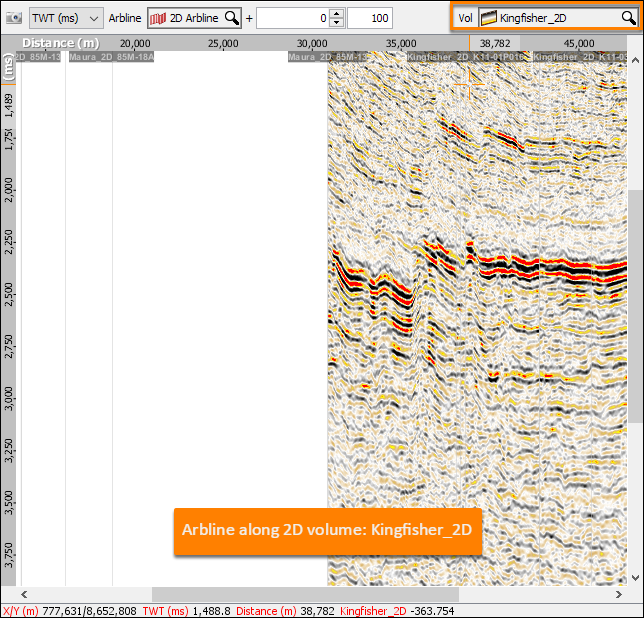 A group of volumes will show data from many different datasets and surveys along these arblines. 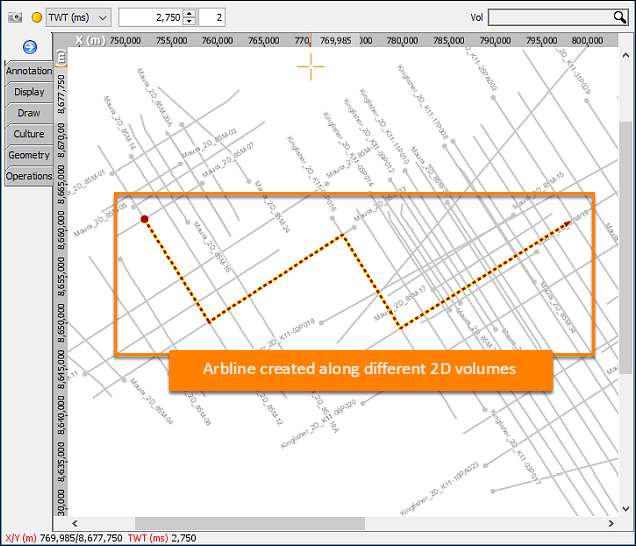 A group can be created to view multiple 2D lines/volumes along one arbline. Create an arbline that passes through multiple 2D lines/volumes (see Creating an Arbline) e.g. an arbline created along two different 2D volumes; Maura_2D and Kingfisher_2D. 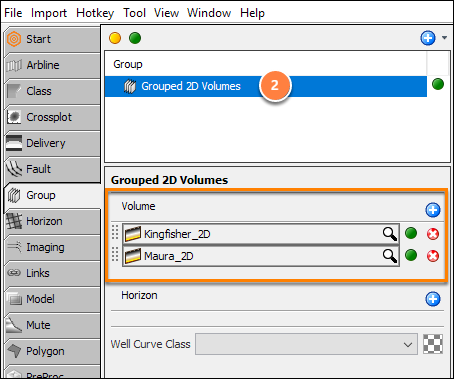 Create a group with the 2D volumes that were part of the arbline (see Creating a Group). Go to Control Panel > View > Arbline View. 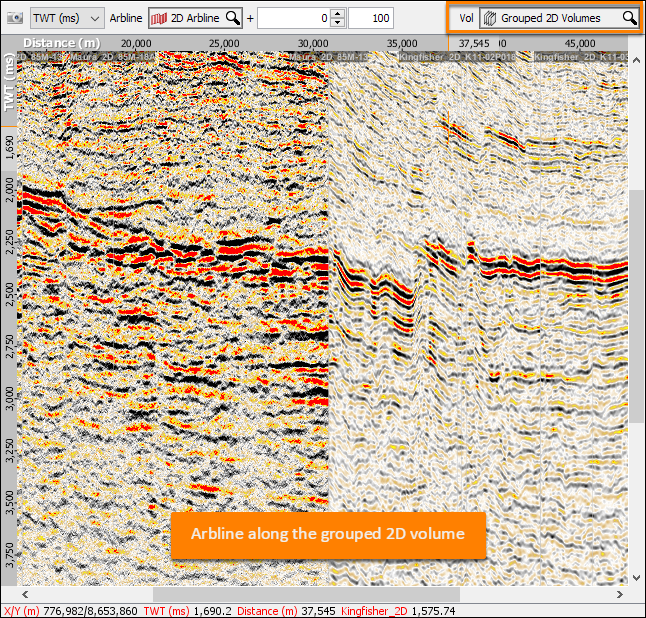 Select the Group in the navigation bar of the Arbline View to display all the volume data that the arbline passes through.